Business that we sell only at half price, at 3.5 million EUR, about 5.000 EUR/hectares. This is an exceptional price compared to other similar offerings that range between 30,000 euros and 200,000 euros / hectares, as showed in the following Market Study. If our offer is not right for you we would appreciate if you would recommend a potential customer to buy our bussiness and develop activities listed below or make real estate speculation, and we would be honored to offer you a commission of 10% of the value of the transaction. 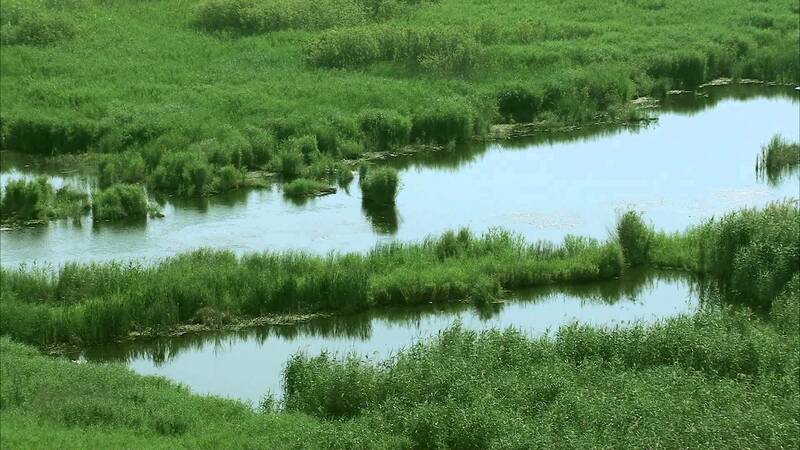 – Several artificial lakes (which need revision, a unsilting with special machines) with different diameters between 100 and 500m which are on the 650 hectares of reed platforms. On the surface of 736 ha can be performed multiple activities on the same time or freestanding, such as: TOURISM with/without AQUACULTURE or AQUACULTURE with/without AGRICULTURE or PROTECTION OF ENDANGERED SPECIES but it is good to know that tourism and aquaculture along with the protected species are the most profitable options because of the existing fixed assets and exceptional localization which the property has. Because of the general characteristics of the area, unique – regarding flora and fauna, the most profitable opportunity is in tourism. For further future, our proposal strategy for the investor includes the construction of a complex of floating houses (bungalow) with a total capacity of over 1.000 beds, which will be located directly on the dikes, lakes and channels, each with, bedroom, bathroom, kitchen, floating fishing terrace and its own boat, a unique concept in Europe. All these houses will be integrated into an all inclusive resort, with beaches, bars, restaurants, playgrounds for children and many more. To maximize earnings would be wise for you to organize the logistics of transportation by earth, water and from international airports Henri Coanda and M.Kogalniceanu. The investor has to contact tour operators worldwide and present this project and then to realize investment based on a preliminary contract. On completion of the investment, the tour operators, contractly based, will promote travel packages to partner travel agencies which in turn will promote to tourists from around the world. In the end, all this will lead to a fully booked resort on the all six months of warm and mild seasons. Regarding the potential revenues that result from the work of tourist accommodation, a simple calculation would result in revenues of 5.4 million euro at 50 euro/bed/night and 10.8 million euro, for 100 euro/bed/night. 1.000 bed X 180 days/season X 60% hotel occupancy X 100 euro/bed = 10.8 mil euro. To our knowledge this project would have a unique character in the world or at least at European level. Currently, near the fishponds are built 10 holiday cabins with a capacity of 20 beds and 4 buildings not yet completely finished, that requires adjustments to make the 120 accommodation places available(for tourists or for personal accommodation). Aquaculture can be developed along with the tourism, and it is even advisable and can be integrated as a part of leisure for tourists. (tench, pike, carp, rudd, bream etc. ), production of reeds and the possibility of developing large scale production of juvenile fish. For these activities our company owns various items that can serve aquaculture activity, such as: pumping stations, drainer, electrical installations, four fishing boats and a ship that require major renovations. On the 15 kilometers of dams that surround channels can develop intensive aquaculture activities, such as increasing shellfish, medicinal leeches, ducks, geese, edible frogs, crabs, etc. In parallel, can develop zootechnics associated sectors and a horticulture sector. At a volume of 3.300.000 cubic meters of water, with an estimated production of 1kg of fish/2 cubic meters of water, it results a quantity of 1.600 tons of fish/year, fish that can be sold at least 2.500 euro/tone => 4 mil euro/year. Total income for sure may be higher due to related activities of aquaculture such as: shellfish, medicinal leeches, ducks, geese, edible frogs, crabs, eggs, milk, meat, etc. Many of these related activities are extremely rare developed in Romania and can bring unexpectedly large gains. Another particularly lucrative activity that can be performed simultaneously with tourism and aquaculture activities is work to protect endangered species for which various international organizations provide financial support under certain conditions. The more species are protected, the greater the revenue that subframes. Professionally done, they could reach revenues of millions / year. And can simultaneously achieve revenues from tourism and / or aquaculture. Globally endangered species: Pygmy cormorant (Phalacrocorax pygmaeus), Dalmatian pelican (Pelecanus crispus), Lesser white fronted goose (Anser erythropus), Red-breasted goose (Branta ruficollis), White-headed duck (Oxyura leucocephala), Ferruginous duck (Aythya nyroca). Birds species under Bern Convention strictly protected species: 229 species protected species: 91. On the platforms with a surface of about 600 ha, which is now covered with reed and which is designed to protect the juvenile fish, you can organize other agricultural crops. The reed removed from the platform can be exploited by its use for different design needs on the farm or by selling it, resulting a unique profit of 100,000 euros. After cutting the reed from the platforms, you can make agricultural crops (wheat, corn, etc) and after a while, even special crops, particularly profitable like sea buckthorn. Agriculture with cereal/grains plants is the least profitable, only a few hundred thousand euros / year revenue. Agriculture with forage brings revenue of approximately 1 million euro/ year. The most profitable activities and relatively easy to implement in those areas should be the culture of moisture-loving crops. Only by following the cultivation technology can reach a maximum of 20,000 euro income / hectare / year, after the first 5 years. Cultivation technology of crops has the advantage of huge revenues with relatively less effort than tourism and aquaculture but the disadvantage is that these plants mature and reach maximum production in about 5 years. Specialists have to do soil analysis to recommend the crops ideal for the best production and profit. For example, the sea buckthorn crops can bring profits as high as the ones from carrying tourist activities, but require a larger investment in the beginning, and the results appear barely in the 3rd year after planting. For planting one hectare of sea buckthorn, the cost is approx. 2.500 EUR, but revenues may reach almost 20.000 EUR/ha after 5-6 years. If you want only agriculture must be mentioned that the soil is salty and cannot obtain conventional freestanding agricultural production but you can get special state subsidies around 130-150-500 euro/ha (the subsidies are currently suspended, but is discussed in Parliament for repaying them). We recommend the development of agricultural activities before the start of the fish farming because the platforms are covered with very old reed that cannot be eaten by the fishes, and only if is no wish to develop a touristic project. Otherwise, together (agriculture and tourism), they don’t fit! Sell ​​the entire business, with all its assets, priced at 3.5 million euros, through the divestiture of the company that owns the entire business. The reasons why we want to give up these exceptional assets are due to the lack of financial funds and experience in the indicated fields. We would appreciate if you would recommend a potential customer to develop or make real estate speculation, and we would be honored to offer you a commission of 10% of the value of the transaction. In conclusion, from our point of view, the business with the highest rate of income it is the all-inclusive tourist complex due to the exceptional positioning of the own land and because of its beauty, uniqueness, living and unexplored nature that can be found in the biggest natural reserve of the biosphere in Europe – Danube Delta. – At 4 km away is the type Tropical Forest Letea – declared a nature reserve of the Biosphere, reserve protected by the IUCN, which contains thousands of unique plant species in Europe and worldwide. – 15 minutes away tourists can reach the Black Sea, with quiet and clean sandy beaches. – Caraorman Forest (The Black Forest), with Mediterranean vegetation and sand dunes and with a 500 old oak, also, unique at least in Europe. 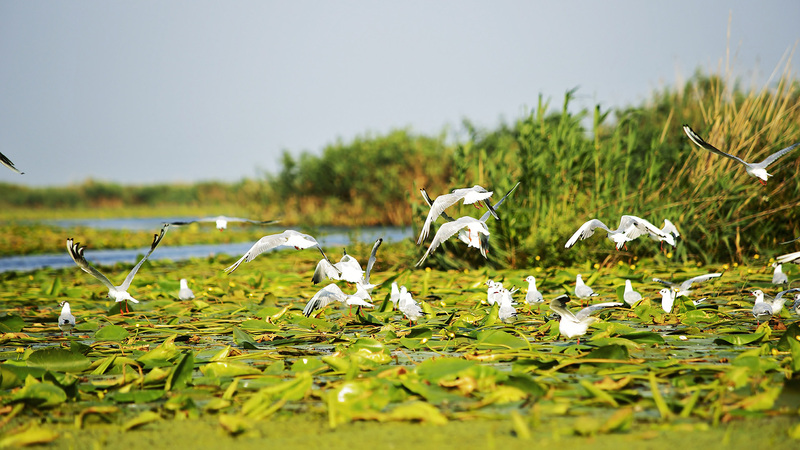 Danube Delta is in a continuous state of development, with an increased interest for tourists worldwide thanks to its beauty and uniqueness. Copyright © 2015 Ecoturism Delta Dunarii S.R.L. All rights reserved.